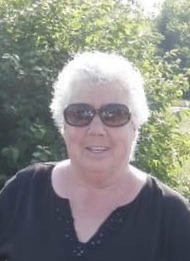 Freda Fay Jenkins, 75, resident of Cornersville, died Monday, January 28, 2019 at Life Care Center of Columbia. Born on December 1, 1943 in Lewisburg, she was the daughter of the late Joe Thurston Davis and the late Amanda Lucille Reed Davis. She was a retired employee of Inter City. Freda enjoyed watching birds, spending time at the fish pond, and was an avid hockey fan. She was a member of Cornersville Church of Christ. Survivors include her son, Wayne E. (Lila) Jenkins of Lewisburg; sister, Mary Sue Shelby of Shelbyville; grandchildren, Clinton W. (Deanna) Jenkins, Tabitha Dale Jenkins; and great-grandchildren, Makynlee, Aiden, Katherine, and Annalyn. The family will visit with friends Thursday from 6:00 - 8:00 P.M. at Bills-McGaugh & Hamilton Funeral Home. A private inurnment will take place at a later time.